Also referred to as Industry 4.0, the IIoT has a lot to offer manufacturers of today. While there will always be those who shy away from new innovations such as this, the most proactive business leaders will become familiar with the technology while it's still in its infancy. 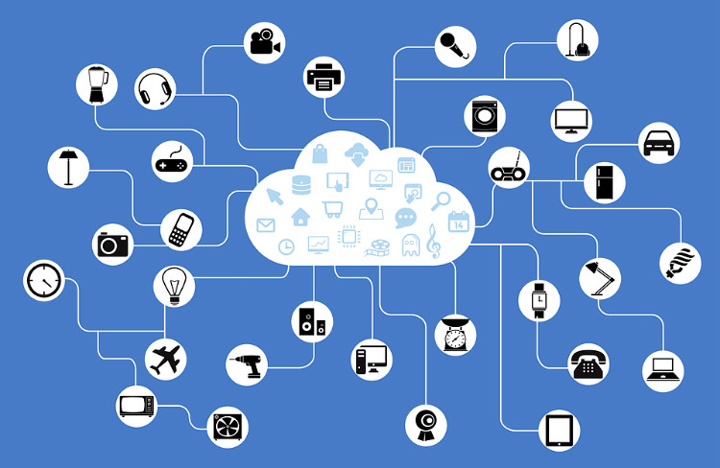 Most of us have at least heard of the Internet of Things by now. Meant to provide a foundation for next-gen connectivity between smart devices and appliances, it's already gaining steam among consumers. Conversely, the Industrial Internet of Things, or IIoT, applies that concept to the entire industrial sector. The result is unprecedented levels of efficiency, automation and communications throughout the modern factory. The IIoT can complement the smart electrical grid of today's factories. While your utility company already controls the majority of these processes, such as automation and monitoring, the IIoT can add even more benefits such as advanced metering infrastructure (AMI), supervisory control and data acquisition (SCADA) and remote management functionality. SCADA is highly useful when it comes to monitoring the performance of your factory machinery through a data-driven approach. By gathering informational metrics such as operating temperatures, fluid levels and other statistics, the IIoT can spearhead preventive and predictive maintenance efforts. Large-scale plants and operations can integrate Wi-Fi connectivity for even more functionality. A city in Oklahoma is using Wi-Fi in tandem with AMI to allow city employees easy access to historical records, city maps and other relevant data. The dual system ultimately allows workers to provide greater customer service in shorter timeframes. Factories and manufacturers in nearly every industry can benefit from the improved tracking features of the IIoT. With greater transparency than ever before, manufacturers are able to monitor and control even single phases of the production lifecycle. Moreover, managers and supervisors are able to circumvent potential mistakes on-the-flow, which could prevent further delays or other costly production issues. Within an industrial setting, the IIoT is enhancing the infrastructure used to distribute electricity. With next-gen voltage sensors and advanced circuit breakers protecting your system, you'll see increased worker safety and increased equipment longevity. While the benefits of the IIoT are enormous, you'll need to take some steps to enjoy the biggest advantages. Use sensors to begin collecting data. The first step in optimizing your system for the IIoT involves the initial monitoring of your hardware and the collection of pertinent data. Make sure to abide by the regulations established by the American National Standards Institute, which are described in ANSI C57.13, to ensure the accuracy of your sensors. Upgrade your hardware. This is necessary when extracting and reading the data from your sensors. Plan your network. Using the data you've collected so far, you'll be able to set up your various meters, switches, circuit breakers, transformers and trip units to communicate in the most efficient manner possible. You'll also need to prepare your digital archives for impending flood of big data. Cloud-based systems are great for this, as they give you the ability to upload, modify and share data on a manual basis. Others might opt for a centralized data center or warehouse. While the former provides superior accessibility, the latter option tends to be more safe and secure. Also referred to as Industry 4.0, the IIoT has a lot to offer manufacturers of today. While there will always be those who shy away from new innovations such as this, the most proactive business leaders will become familiar with the technology while it's still in its infancy. Not only does this give you the option of upgrading your systems as the IIoT improves, but also your willingness to embrace new technology is certain to appeal to the millennial generation.